Nodens Books is pleased to announce its first publication, a collection of Evangeline Walton's ten fantasy short stories, Above Ker-Is and Other Stories, with an Introduction and notes by Douglas A. Anderson. 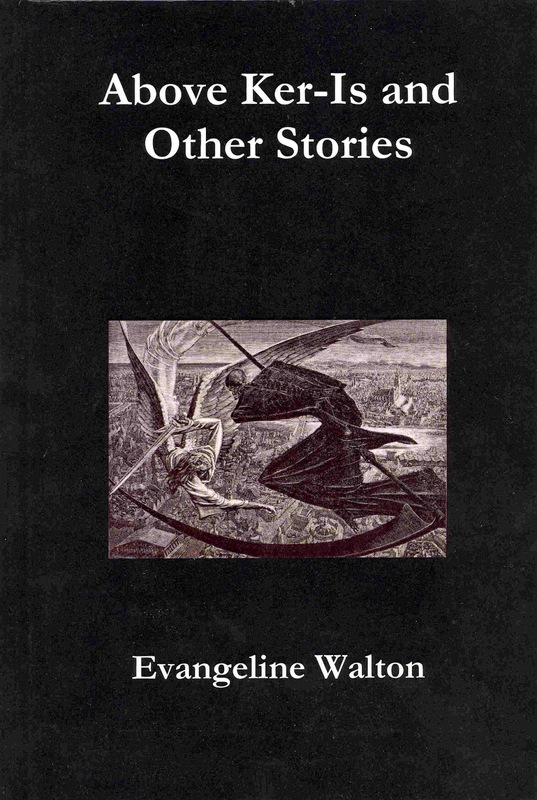 Evangeline Walton (1907-1996) is renowned for her Mabinogion tetralogy, and three other novels. She won the Mythopoeic Fantasy Award in 1973 for The Song of Rhiannon, the third-published volume of the four Mabinogion books, and 1989 won the World Fantasy Award for Life Achievement. 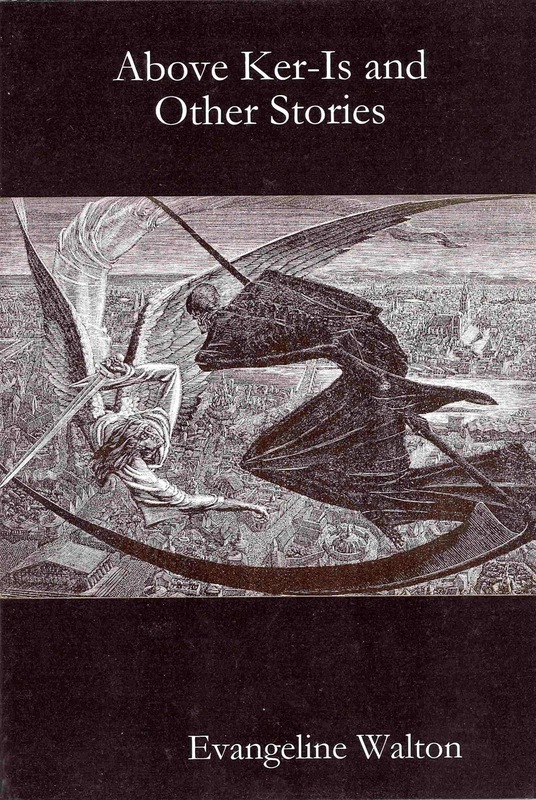 Above Ker-Is and Other Stories collects ten fantasy stories, including three superb Breton tales. Four are published here for the first time. Above Ker-Is and Other Stories is available in three formats, a trade paperback (available via Amazon.com and Lulu.com), and two hardcover version (both only available via Lulu.com), one a casebound hardcover without dust-wrapper, and the other a cloth bound hardcover with dust-wrapper. To order via Amazon, click here. To order via Lulu, click here. To order via Amazon.co.uk, click here. Also available via other Amazon outlets, France, Germany, etc. 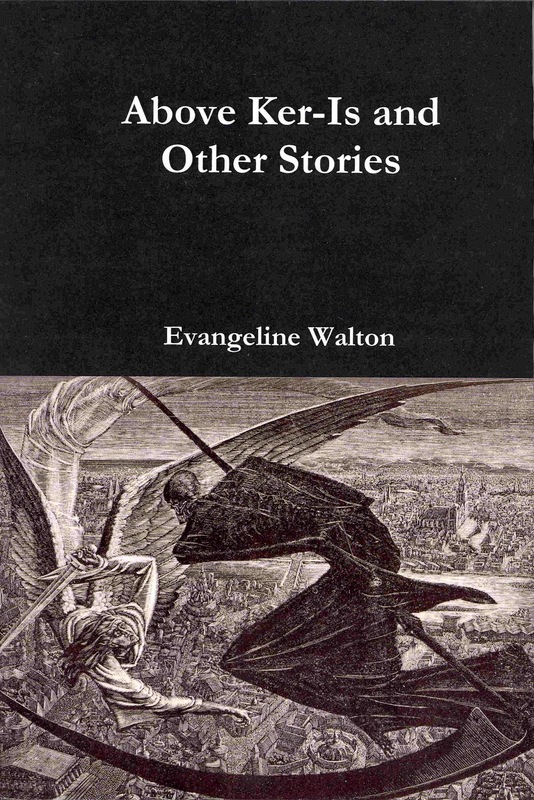 Evangeline Walton, the pen-name of Evangeline Ensley (1907-1996), is perhaps best known for her Mabinogion tetralogy, which is comprised of The Virgin and the Swine (1936; retitled The Island of the Mighty in 1970), The Children of Llyr (1971), The Song of Rhiannon (1972), and Prince of Annwn (1974). Over her long career she published three other novels, Witch House (1945), The Cross and the Sword (1956), and The Sword Is Forged (1983), the latter being the first volume of a Theseus trilogy which she had completed in the mid-1940s and entirely re-written in the mid-1950s, and which she was revising again in the 1980s. During her lifetime she published only a small number of short stories. The first appeared in Weird Tales in 1950. In the early 1980s, when she was asked to contribute to some anthologies she offered four fine stories that had been written decades earlier but which had never appeared in print. Her final publication, three years before her death, was a short and minor collaborative story (not included herein), written as an exercise as she was recovering from the effects of surgery to remove a brain tumor. At her death Walton’s papers were left in a great disorder, and as her literary heir, Debra L. Hammond, and I have been sorting and fine-tuning the organization of the papers (subsequent to a large amount of initial work by Debra’s mother, Louise Hammond), we have been delighted by the various new and otherwise unknown writings that we have found, including more novels, plays, and five complete and unpublished fantasy short stories. One of these stories has since appeared in The Magazine of Fantasy and Science Fiction, but four are published here for the first time. Walton started creating stories when she was a very young girl. A good amount of her juvenilia survives. According to a 1977 newspaper interview, Walton said that when she was six or seven, pacing up and down telling stories to herself, her mother slowed her down enough to get some of the tales on paper. When presented soon afterwards to an Indianapolis publisher, the stories were judged as promising but not ready for publication. At age eleven, a longer tale “A Daughter of the Alhambra” was made into a special handwritten booklet, with illustrations by Evangeline’s cousin, Clifton Joseph Furness. Around the age of 18, after she was given a typewriter, her writing career began in earnest. She started with short stories and plays, but by her early twenties she had moved on to novel-writing. The true complexity of her output is only now becoming apparent as her papers are being studied. From around 1926 through the early 1930s she practiced the short story form—most of these being fantasy stories (in a letter from 1940 she referred to fantasy as “my usual field”). She had written four or possibly five novels before one of them was published in 1936, and even after this advance in her career she occasionally attempted various types of short stories, ranging from tales of Paris society to historical stories and westerns. She wrote stories aimed at the slicks, and even attempted one tale of dystopian science fiction. Many of these attempts, including the science fiction one, foundered after a handful of pages and were left unfinished. As she wrote to her agent on January 10, 1949: “It does not seem to be easy for me to get the hang of short story construction—I never have liked short stories much, least of all the magazine type, and I think liking a medium is a great help to understanding it.” In October of that year she wrote to a friend, the bookseller Ben Abramson: “Though all year I have been trying, whenever my health allowed, to do short stories for a New York agent, I have not yet had any luck. My brain just does not work that way. If it won’t this winter, either, when I ought to be much stronger, I shall have to give up, I suppose.” Within a few years she did indeed give up on the writing of short stories. 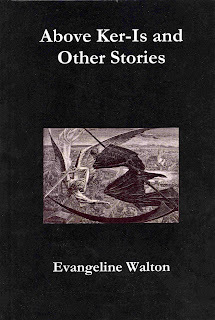 The ten stories collected here are Walton’s best, and despite their author’s own diffidence about her success in writing short stories, these tales exemplify the reason she was given a World Fantasy Award for Life Achievement in 1989. The first seven of these stories range in date of composition from the late 1920s to the early 1930s, and the final three date from the late 1940s and early 1950s. Further details about each story are given in the “Story Notes” at the end of this volume. Great news! Hopefully you'll also be publishing her Theseus trilogy at some point too - it's surprising that only the first book has seen print! But in the meantime, I'm off to order a copy of this book. Thanks, Dunebug1! We're working on the Theseus novels, but the papers are complex. We do expect to make them all available via some means in the future, but expect one or two other things in the pipeline might be ready first. Look for news at evangelinewalton.com ! I remember reading the Mabinogion books in Lin Carter's Adult Fantasy series and being completely shattered by 'The Children of Llyr'... Good to see Evangeline Walton is still alive, posthumously. I discovered that "Above Ker-Is" had been published completely by accident, and immediately bought it from Amazon. I came here to thank you for publishing it and to ask if there was any hope of publishing the Theseus novels, and lo and behold there is! To me they're among the great lost books. Thank you so much for your undertakings. I see the Nodens blog hasn't been updated in a while, but I thought I'd ask if there was any update about the publication of the uncut Cross and Sword and/or the Theseus novels. Thanks! Thanks for the note, Alec. 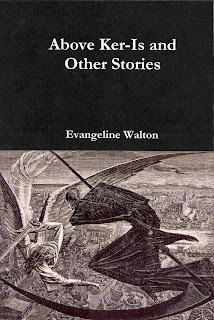 Watch for some news here (and at evangelinewalton.com) soon about some new Walton publications. We're working to have a trade publisher do Dark Runs the Road (the uncut Cross and the Sword) in 2015. The Theseus papers are still being worked on, so it will be a longer time before they are ready to be published. Thanks, Douglas! Sounds good to me. Nodens Books is managed by writer and editor Douglas A. Anderson, the author of The Annotated Hobbit (1988; revised and expanded edition 2002), and editor of several fantasy anthologies. 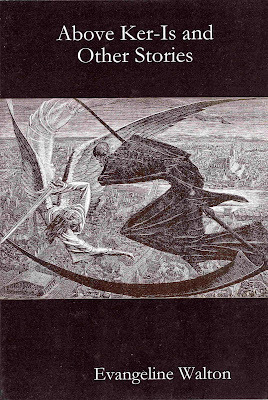 His main blogs are on Tolkien and Fantasy (mostly on Tolkien) and A Shiver in the Archives, which highlights literary discoveries, but he also contributes to the blog Wormwoodiana, devoted to classic "literature of the fantastic, supernatural and decadent." And for those with even more rarified bibliophilic tastes, he also does a personal blog for Lesser-Known Writers. A new blog for 2019 is on the writer Leonard Cline. (c) 2012-2016 by Nodens Books LLC. Simple theme. Powered by Blogger.